Landlord and Tenant Board in Ontario/ N8 Notice -L2 application; Eviction for Consistently paying the rent late. 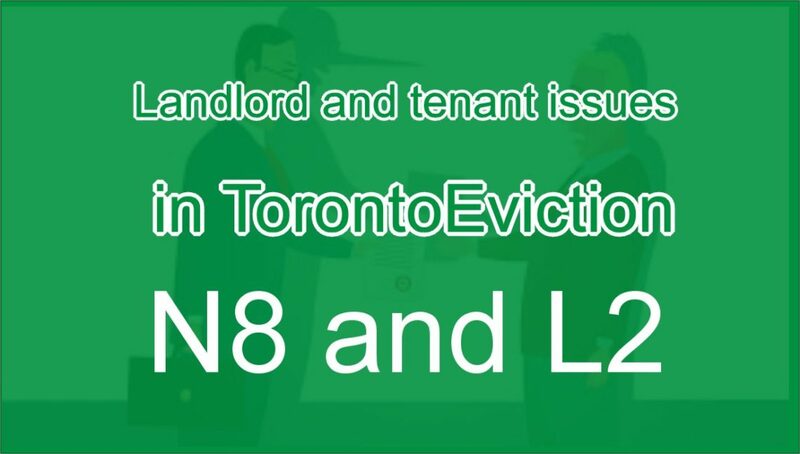 The Landlords in Ontario having problems with tenants consistently making late rent payments are permitted to serve the N8 Legal Notice followed by an L2 application for evicting the tenant. Just like any other Notices served on tenants by landlords, landlords had to exercise extra caution in filing the relevant documents prior to serving and filling with the Landlord and Tenant Board in Toronto. The N8 Notice should be attached to a ledger showing amount of rent, rent due date, date of rent payment, amount of rent paid, and balance left, if any. The landlords having the problem with the tenants consistently paying the rent late should also be prepared to show their resulting financial hardship. It is also important for the landlords to issue receipts for the rent payment as and when received. This is not only a legal requirement but also proofs the landlord’s position that the date of late rent payments. His Master’s Legal Services offers legal assistance and legal representations at all Landlord and Tenant Board in Toronto and Surrounding with all kinds of application.